A few years ago I had the major fortune of exploring most of the island of Eleuthera, in The Bahamas. While the entire island is pretty much a gem, there was in fact, one extremely off the beaten path jewel that I couldn’t leave without visiting. As a certified beach snob who has travelled around The Bahamas, I couldn’t miss the opportunity to see for myself if Lighthouse Beach was worthy of the title of “The Most Beautiful Beach in The Bahamas.” Newsflash, it is inarguably one of the best beaches I have ever visited in the world. The first time I wrote about Lighthouse Point most Bahamians had no idea this place existed, imagine that. On the other hand, Bahamians with roots on the island begged me to shhhhhh, let’s just keep this one a secret. I’m sorry, the secret is out! So much so that the world wants in on this kept secret. There have been reports swirling that Disney Cruise Line is actively seeking to expand their operations in The Bahamas and interested in purchasing a piece or all of Lighthouse Point which is up allegedly up for sale for a sizable 20 ish million dollars. Naturally, conservationists and the community are strongly opposed, and for good reason, why would we move to destroy this beautiful ecological & cultural haven? In an age where the world is moving to preserve more and destroy less, shouldn’t we be doing the same? I know this isn’t my typical blog, but I felt strongly that I needed to do my part, as little as it may be, to try to help save such a sacred space that should be claimed for a Bahamas National Park. I’ve signed the petition, I’m asking you to do the same. We can’t save what has already been sold and destroyed, but we may have the opportunity to save The Most Beautiful Beach In The Bahamas. For more info on this cause and to sign the petition, visit, Save Lighthouse Beach. Previously blog appeared on SheSoMajor in April 2016. The Islands of The Bahamas have more white sand beaches than the entire Caribbean region; that’s a lot of beach! 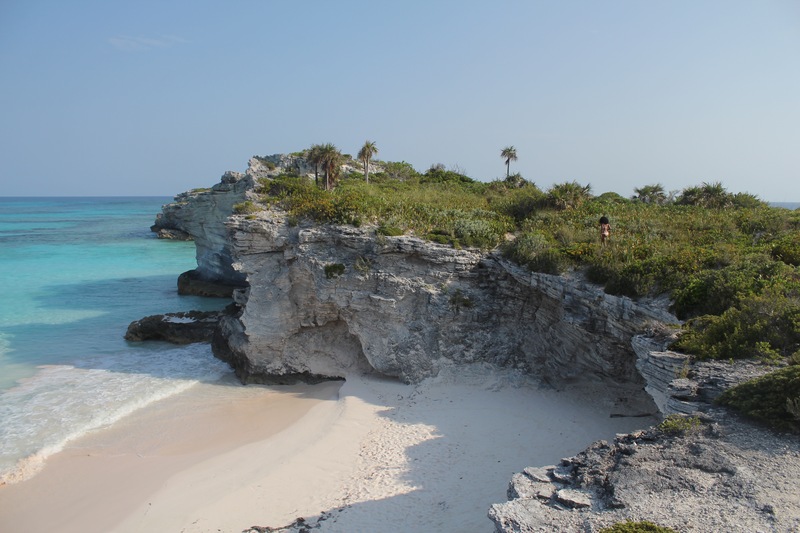 While on a recent island hopping adventure to the island of Eleuthera, I decided to go on a cross-island escapade to find the ‘best beach’ in the country. I’ve seen a lot of beaches in my travels, and they have all taken my breath away, so could I possibly find a better beach than what I had already seen on San Salvador, Long Island, and The Exumas? While driving through Gregory Town, and chatting with the locals, they reinforced the need for me to head South in search of the ‘best beach’ in The Bahamas, Lighthouse Beach. That was it, I was all in! Located at the southern tip of the island of Eleuthera, I knew the journey would be a long one. Two plus hours to be exact. I loaded up on water, snacks and other necessities before beginning the trek. The drive took me through picturesque settlements like Savannah Sound, Tarpum Bay and Rock Sound, on to Millars and then Bannerman Town. Disclaimer: The ride gets bumpy, so buckle up. After driving for nearly two hours, I finally saw light at the end of the tunnel. Too bad it was just a smoke signal! There was a sign on a lamp post that directed us down a path to the beach, but according to the man on the side of the road, it was at least an hour more to go. The road is filled with rocks and craters, so beware of your tires. Disclaimer: A four-wheeler is the optimum vehicle for this leg of the journey. The ride is worth it, trust me! I drove into the first beach. It was nice, picturesque, but I was taken aback because ‘this could not have been what I drove here for!” False alarm. Keep going! Just around the bend, up the hill, down the path was THE BEACH! An unspoiled, pink sand, translucent, secluded slice of heaven. As I took it all in, I wondered, was this the best beach that I have ever visited in The Bahamas?